A bright “blue moon” will fill skies this Friday night, the next one in July 2015. The last one was New Year’s Eve of 2009. If the skies are clear, we will get to see the second full moon of the month, commonly called a blue moon. 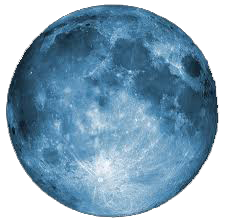 A blue moon isn’t actually blue, the name reflects the relative rarity of two full moons in a month and is linked to the saying, “Once in a blue moon”.